Origin Energy is Australia’s largest electricity retailer, with more than four million customers nationwide. But is bigger always better? Red Energy is a far smaller retailer, yet has been making waves in recent years across Victoria, South Australia, New South Wales, and now Queensland. Canstar Blue has reviewed the plans and prices of Origin Energy and Red Energy to see which offers the cheapest rates where you live. We’ll review each of their plans and provide estimated annual costs for three person households in Sydney, Melbourne, Adelaide and Brisbane, who sign up to the cheapest products Origin and Red Energy have on offer. While the names of these plans are similar throughout Australia, their prices, terms and discounts can vary considerably across networks and states. Be sure to thoroughly read their energy price factsheets to find the specific details of what’s on offer in your area. You can also see a specific quote for your area by using our energy comparison tool. Before we get going, let’s just point out that Origin is one of the pioneers of fixed cost electricity plans with its ‘Predictable Plan’. This deal is not currently promoted by Origin however and it was not included in our review as fixed cost plans are specific to each and every customer. You can read more about the Predictable Plan here. Here are the current cheapest published deals on our database for Origin and Red Energy across Victoria, New South Wales, South Australia and Queensland, with any conditional discounts factored in. Here are the cheapest published deals for Origin and Red Energy on our database for Victoria. These costs are based on a typical three-person household living on the Citipower network in Melbourne, but prices may vary depending on your circumstances. Use our comparison tool above for a specific comparison in your area. This table includes a featured product from a referral partner. Here are the cheapest published deals for Origin and Red Energy on our database for NSW. These costs are based on a typical three-person household living on the Ausgrid network in Sydney, but prices may vary depending on your circumstances. Use our comparison tool above for a specific comparison in your area. This table includes a featured product from a referral partner. Here are the cheapest published deals for Origin and Red Energy on our database for SA. These costs are based on a typical three-person household living on the SA Power network in Adelaide, but prices may vary depending on your circumstances. Use our comparison tool above for a specific comparison in your area. This table includes a featured product from a referral partner. Here are the cheapest published deals for Origin and Red Energy on our database for QLD. These costs are based on a typical three-person household living on the Energex network in Brisbane, but prices may vary depending on your circumstances. Use our comparison tool above for a specific comparison in your area. This table includes a featured product from a referral partner. Origin has four market retail offers available to customers across Victoria – the Maximiser, Saver, One Low Rate and Bill Saver. The Maximiser and Saver deals are fairly standard variable rate electricity contracts with conditional discounts, but the other Origin products are a little different. Here are the specific details for households in Melbourne. Origin Maximiser: This is an open term, variable rate contract with a 12 month benefit period. Origin customers on this plan who pay by direct debit will receive a discount of 24% off their usage charges. Signing up online earns you an additional discount, taking the total to 29% off usage charges. Origin Saver: Customers who pay their bills on time will receive a discount of 20% off usage charges. Like Origin’s Maximiser offer, this is an open term contract with a 12 month benefit period. One Low Rate: This plan promises low electricity usage rates that are fixed in for a 12 month period, so you don’t have to worry about any sneaky price increases. There are no discounts, but the low rates more than make up for it. Origin BillSaver: This product brings a 10% guaranteed discount off both energy usage and supply charges, with a benefit period of up to 24 months. Origin Supply: This is Origin’s default market offer. It has variables rates like the other two offers, but has no conditional discounts. There are also no exit fees. Meanwhile Red Energy has three electricity market offers for Victorian households: the Living Energy Saver, Qantas Red Saver and the Qantas Red Plus. Living Energy Saver: This is a no term, variable rate contract. It includes 10% off your entire bill when you pay on time, rather than just the usage charges. In addition to this, Red Energy says its deals have competitive solar rebates and flexible billing options, meaning you can still get your bills by post if you want. Red Energy customers will also have access to Red Energy Rewards – which gives you up to $1,500 worth of discounts and benefits. Customers on this plan also have the option to recieve 100% GreenPower for an additional 5.83c/kWh. Qantas Red Saver: This plan has the same rates and discount as Red’s Living Energy Saver. The difference is that customers on Qantas Red Saver can earn Qantas Frequent Flyer Points just by signing up and paying their bill. It also has flexible billing, no exit fees and no contract period. Qantas Red Plus: The Qantas Red Plus does not include Red’s famous 10% pay on time discount, making it the retailer’s most expensive market offer. However, Qantas Red Plus customers receive a lot more Frequent Flyer Points compared to the Qantas Red Saver. Let’s compare the cheapest offers from Origin and Red Energy to determine which is cheaper in Victoria. These are the Origin One Low Rate plan and Red Energy’s Living Energy Saver. One has a discount and one doesn’t, but which actually works out cheaper at the end of the day? We show annual costs once discounts have been applied, based on a selected postcode in Melbourne. *Costs based on annual usage calculations using statistics from AER for a three person household on the Citipower network. ^By clicking on a brand name, you may leave Canstar Blue and be taken to a referral partner to compare. You agree that Canstar Blue’s terms and conditions apply to this referral. If you click on a brand that is not a referral partner, you will be taken to a brand page on Canstar Blue. Sometimes the energy offers with the highest discounts do not work out the cheaper option overall. This is because they often have higher usage or supply charges, meaning savings are largely negated. In this case, you can see that Red Energy and its 10% discount works out cheaper than Origin’s deal with no discount, but only slightly. Find out how Origin and Red Energy compare to other electricity providers in Victoria with our cost comparison report. Origin brings a similar range of plans to the table in Sydney, but with varying discounts, detailed below. Origin also offers GreenPower plans with the published rates identical to those listed for Victoria. Origin Maximiser: Customers on this plan receive all their bills and correspondence by email and will have their bills direct debited. In return, they will receive a 25% discount off energy usage charges. Origin Saver: This is another variable rate electricity plan with a 12 month benefit period. Customers who pay their bills on time will receive a 13% discount off usage costs. Additionally there are no exit fees and you can manage your account online. One Low Rate: With this deal, customers receive low electricity usage rates that are locked in for 12 months, so you don’t have to worry about price increases. There are no discounts, but the low rates more than make up for it. Origin BillSaver: Unlike Origin’s other market offers which bring discounts for paying bills on time or by direct debit, the BillSaver plan has a guaranteed discount of 10% off energy usage and supply charges, for up to two years. Origin Supply: This is Origin’s most basic plan with no discounts or set contract period. Just like in Victoria, Red Energy gives customers in NSW three different electricity plans to choose from, including a dedicated GreenPower plan. This time households in Sydney can select between the Living Energy Saver, Qantas Red Saver and Qantas Red Plus. Living Energy Saver: This plan gives customers a 10% pay-on-time discount applied to the entire bill. It also provides flexible billing options and access to Red Energy’s reward program. This is an open term contract with a variable rate and no exit fees. Customers can have 100% of their electricity GreenPower accredited for an additional 5.83c/kWh. Qantas Red Saver:This product is virtually identical to the Living Energy Saver. The only difference is that instead of Red Rewards, the Qantas Red Saver gives customers Frequent Flyer Points simply for signing up and paying their bill. Qantas Red Plus: This product is similar to the Qantas Red Saver, however this product provides more Frequent Flyer Points. The downside is that there is no discount. Who’s cheapest in New South Wales? The New South Wales energy market is pretty competitive, making it a little tricky to find the right deal. To help you out, we’ve crunched the numbers behind the cheapest offers from Red Energy and Origin. This is the Living Energy Saver for Red Energy and Maximiser for Origin Energy. Keep in mind that Red Energy’s small discount applies to the entire bill, while Origin’s plan provides a larger discount off usage charges only. But which is cheapest? *Costs based on annual usage calculations using statistics from AER for a three person household on the Ausgrid network. The Maximiser plan from Origin works out slightly cheaper overall, but there isn’t much in it. Don’t just assume big discounts mean big savings! See how Red Energy and Origin compare to other retailers in NSW with our comparison of costs for the state. Origin One Low Rate: This is a locked rate plan where usage and supply charges won’t change for a 12 month benefit period. It is only available to customers who opt for online billing and pay via direct debit. Origin Maximiser: This is a variable rate contract with a 12 month benefit period and no exit fees. On this plan, you’ll receive your bills via email and you agree to have your bills direct debited from your selected account in exchange for an 18% discount off usage charges. Origin Saver: Customers who pay their bills on time will benefit from a 10% discount on this plan. Similar to the Maximiser, this is a variable rate plan with a 12 month benefit period. Origin BillSaver: This plan has a guaranteed discount of 8% off both energy usage and supply charges, not reliant on meeting any conditions. There is a benefit period of 12 or 24 months. Origin Supply: This is Origin’s basic plan with no discounts or contract term. The three plans offered by Red Energy to South Australians are the Living Energy Saver, Qantas Red Saver and Qantas Red Plus. The first plan is a variable rate, fixed term plan similar to what it offers in other states, while the other two reward customers with Frequent Flyer Points. Easy Saver: This is an open fixed term contract with variable pricing. When you pay your bills on time, you will receive a 10% discount on the entire value of your bill. For 5.8c/kWh extra, customers can have their power 100% GreenPower accredited. Qantas Red Saver: Customers can earn Frequent Flyer Points by signing up and paying their bill. It also has the same competitive discount and rates of the Easy Saver. Qantas Red Plus: There is no discount on this plan, but customers can earn even more points compared to the Qantas Red Saver. Who’s cheapest in South Australia? To find out which retailer is cheapest in South Australia, let’s once again take a look at each retailer’s cheapest product – the Origin One Low Rate and Red Energy’s Easy Saver. While Red Energy’s plan has a discount, will it come out the cheaper deal than Origin’s plan? Let’s find out. *Costs based on annual usage calculations using statistics from AER for a three-person household on the SA Power Networks network. This time we see that the plan without a discount is cheaper overall, with Origin charging less than Red Energy in SA according to our latest comparison. Compare these two retailers to several others in Adelaide with our latest cost comparison report. Households between Gympie, Toowoomba and Tweed Heads in South East Queensland can choose their retailer, be it Origin, Red Energy or some other company. Origin has slightly fewer energy deals on offer in the Brisbane area compared to other states, with no fixed rate plan on offer. 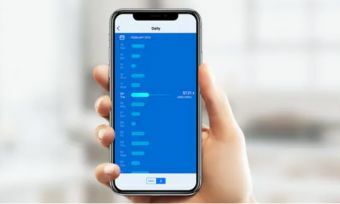 Origin Maximiser: With the Maximiser plan, customers who pay their bills via direct debit will receive a 16% discount off usage charges for a 12 month period. There are no exit fees for leaving early. Origin Saver: Origin Saver customers who pay their bills on time will receive a 14% discount on electricity usage charges, again for a 12 month period. One Low Rate: This is Origin’s low rate, no discount energy plan which sees rates locked in for 12 months, meaning customers won’t see their prices change for the duration of the term. Origin BillSaver: This plan has a guaranteed discount of 12% off both energy usage and supply charges, not reliant on meeting any conditions. There is a benefit period of 12 or 24 months. Origin Supply: This is Origin’s basic electricity plan with no discounts or exit fees. Once the benefit period from another plan expires, customers will start paying the same rates as those on this plan. Red Energy came to South East Queensland in January of 2017, with a range of competitive energy offers. Easy Saver: This plan has no contract term and comes with a 10% discount on your entire electricity bill. Most retailers, such as Origin, only apply their discounts to the usage cost component of the bill. Customers can also sign up to 100% accredited GreenPower for only 5.8c/kWh. Qantas Red Saver: This plan is similar to the above, offering the same discount at the same rate. Instead of Red Energy Rewards however, customers can earn Qantas Frequent Flyer Points for signing up and paying their bill. Qantas Red Saver: This deal is similar to the Qantas Red Saver, however, customers earn even more points. What’s the tradeoff? Well, this deal doesn’t have a discount, so it is Red’s most expensive product. Origin has been a prominent electricity retailer in Queensland for many years, but how does it stack up against the new challenger, Red Energy? Origin’s cheapest deal comes with no discount at all, while Red Energy offers a modest 10% off. So, which retailer is the cheapest? *Costs based on annual usage calculations using statistics from AER for a three person household on the Energex network. There isn’t much between these two companies in Queensland, but Origin Energy comes out marginally cheaper than Red Energy. Remember to use our cost comparison report for Queensland to find out how these two stack up to several other providers. Origin and Red Energy are both viable retailers with competitive rates and generally reliable service. Indeed, Red Energy ranks highest in our customer satisfaction ratings for New South Wales electricity retailers, while Origin is rated four stars in most states. While Red Energy will be the cheaper option for some, Origin may be cheaper for others, that’s why it’s important to compare a wide range of plans and consider what might suit your situation best. If you have solar panels, for example, it may be the case that Origin and its solar booster deals give you good value. Also, don’t forget about Origin’s Predictable Plan, which lets you know exactly what you’ll be paying for power each billing period. Overall there is a lot to consider with Origin Energy and Red Energy. We hope you find this review helpful. Remember, no matter which energy provider you’re with, it’s always worth looking at the market and seeing if there is a better offer out there for you. If you’ve been with the same provider for more than two years, you are almost certainly paying too much. VIC: Costs based on annual usage calculations using statistics from AER for a three person household on the Citipower electricity network in Melbourne, April 2019. For more information on annual cost calculations please click here. NSW: Costs based on annual usage calculations using statistics from AER for a three person household on the Ausgrid electricity network in Sydney, April 2019. For more information on annual cost calculations please click here. SA: Costs based on annual usage calculations using statistics from AER for a three person household on the SA Power electricity network in Adelaide, April 2019. For more information on annual cost calculations please click here. QLD: Costs based on annual usage calculations using statistics from AER for a three person household on the Energex electricity network in Brisbane, April 2019. For more information on annual cost calculations please click here. ACT: Costs based on annual usage calculations using statistics from AER for a three person household on the EvoEnergy electricity network in Canberra, April 2019. For more information on annual cost calculations please click here.